The book ‘Makers Move Matter’ is a documentation of our work since 2012, and some of the encounters we had with people on the road and their stories. Four writers have contributed their ideas about material culture, the relevance and importance of tangible objects and jewellery as a ‘dynamic’ medium, and the human and powerful qualities of making things. The text contributors are Louise Mazanti, Hans Stofer, Inger Sjørslev and Morten Skriver, and the graphic work is made in collaboration with Ayelet Yanai. 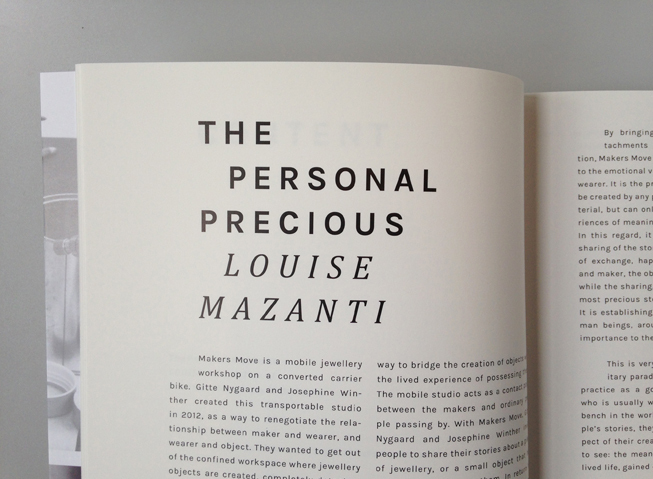 The book can be purchased directly via mail@makersmove.com for € 25 exclusive postal cost.